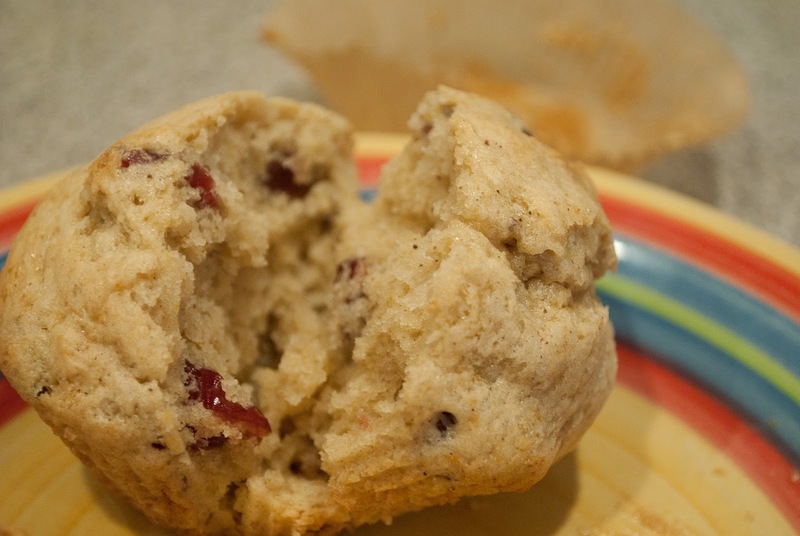 gluten-free cranberry chai muffins | gluten-free glory! Put the cranberries in a small bowl and cover with water. Let soak 30 minutes to soften before baking. Sift together the dry ingredients (gluten-free flour through masala chai spice mix) in a medium bowl. Combine the wet ingredients (apple cider through the egg) in smaller bowl. Add to dry ingredients and stir until combined. Drain water from the cranberries and fold into muffin batter. Divide evenly among a 12-muffin pan (greased or lined; I used liners because it’s easier to clean up). Bake for 15-18 minutes at 400 degrees. Let cool, spread with a bit of butter, and enjoy!